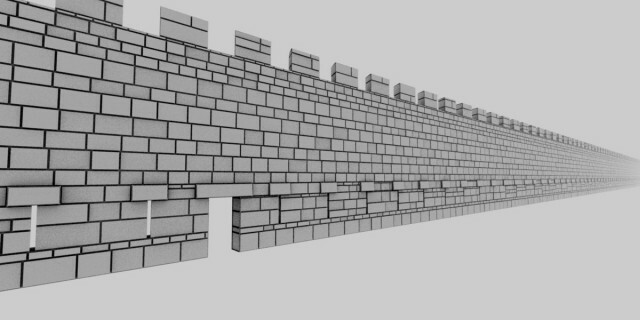 It is possible to make very large walls using this script. There is no tiling and no textures, just geometry. This one took about thirty seconds to generate.